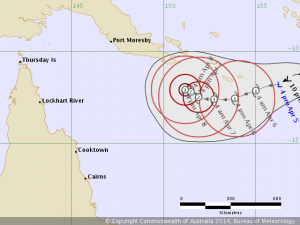 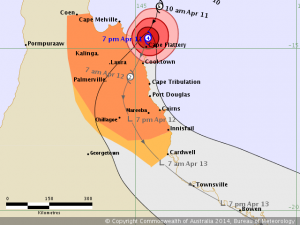 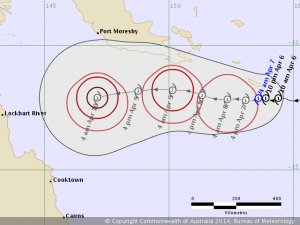 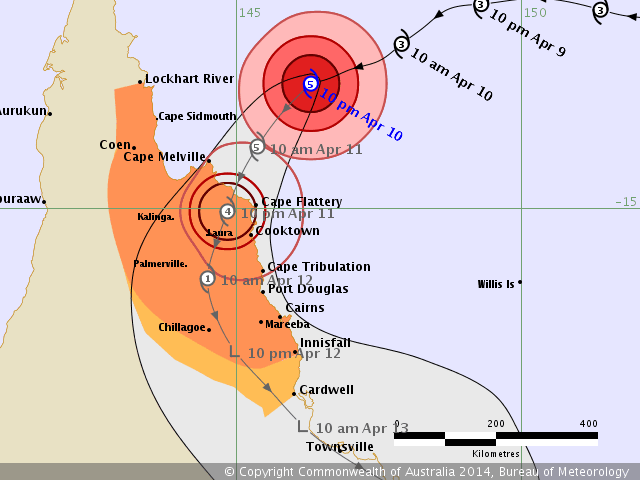 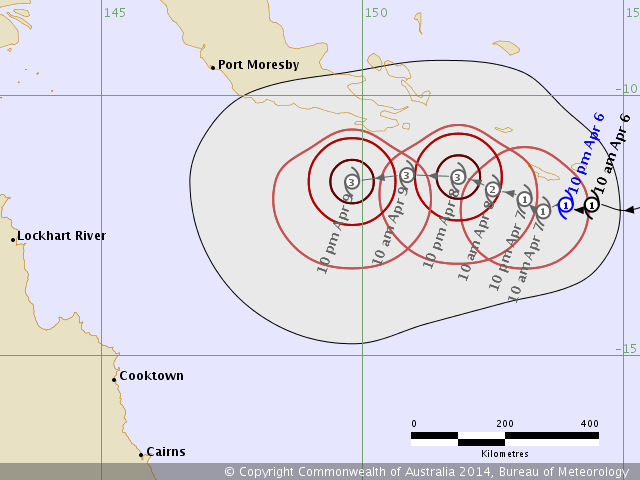 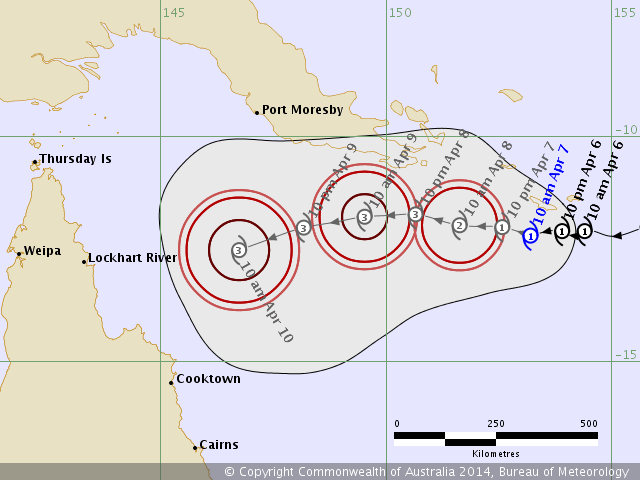 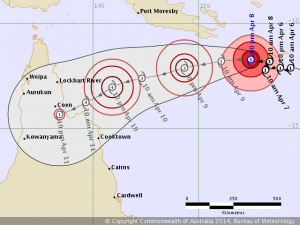 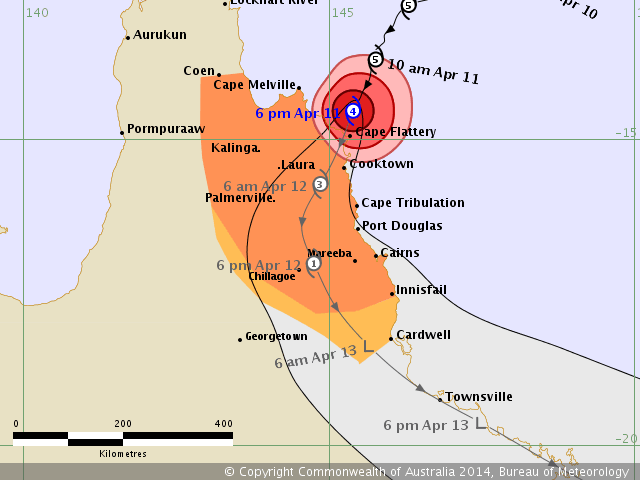 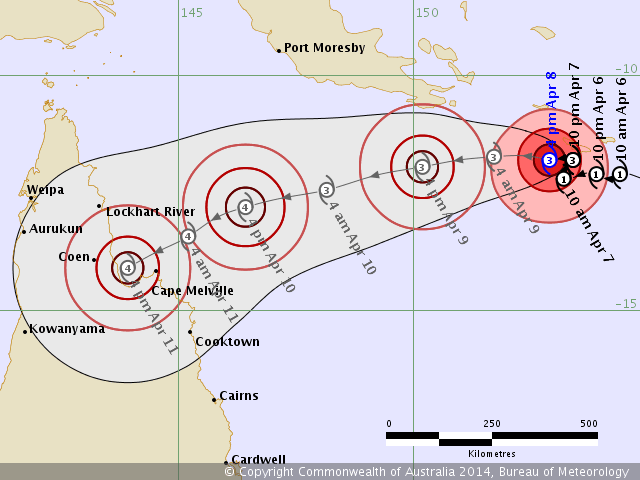 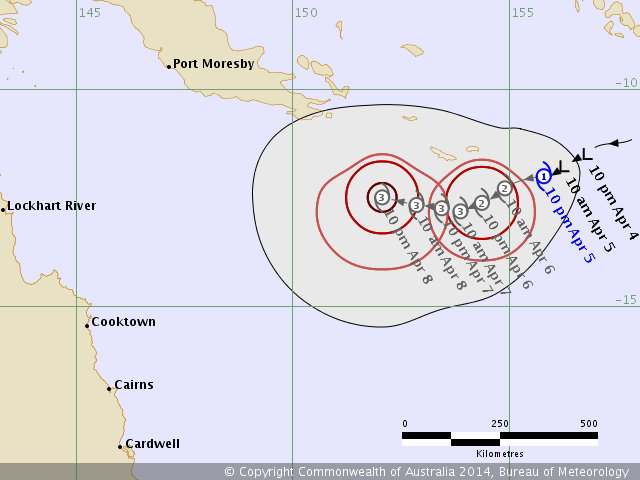 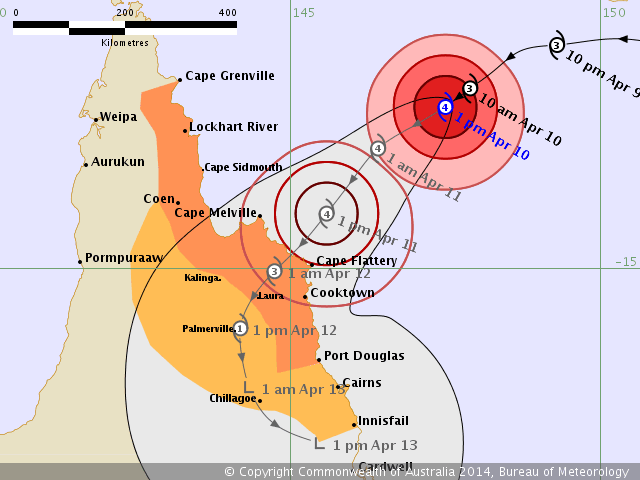 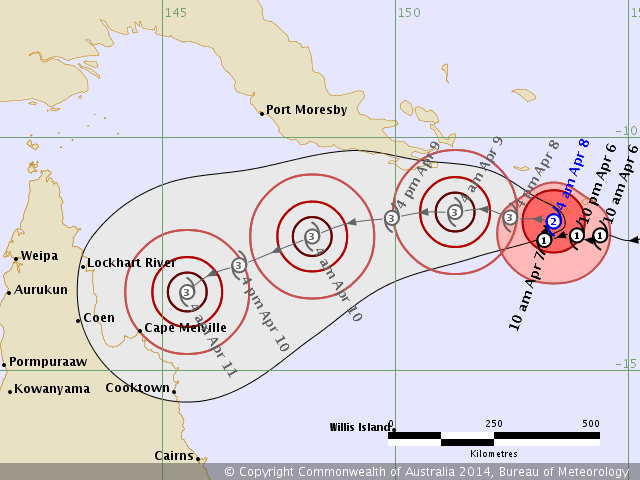 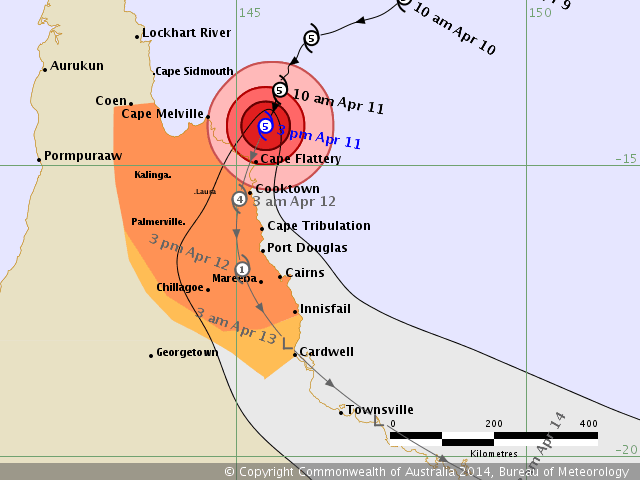 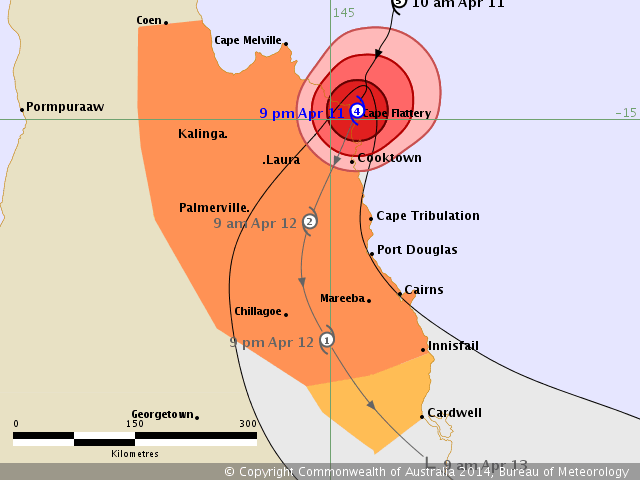 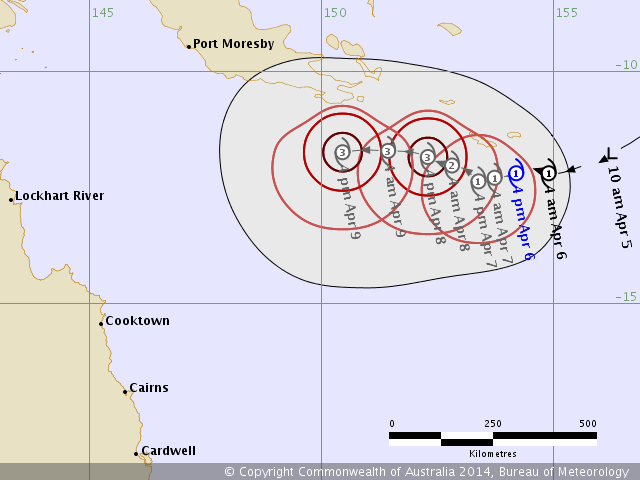 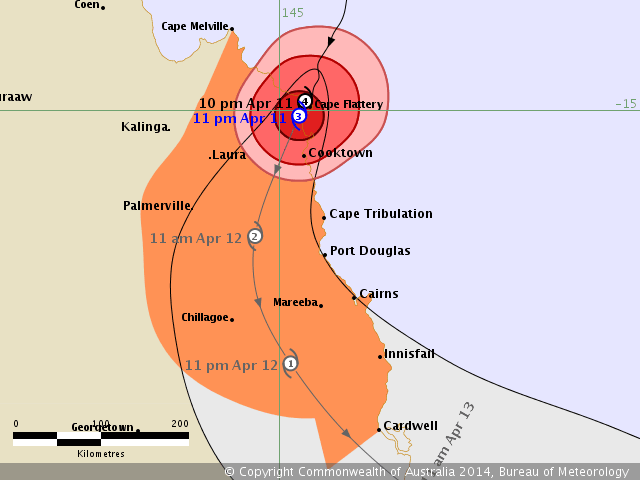 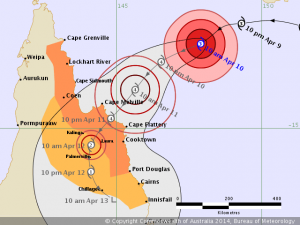 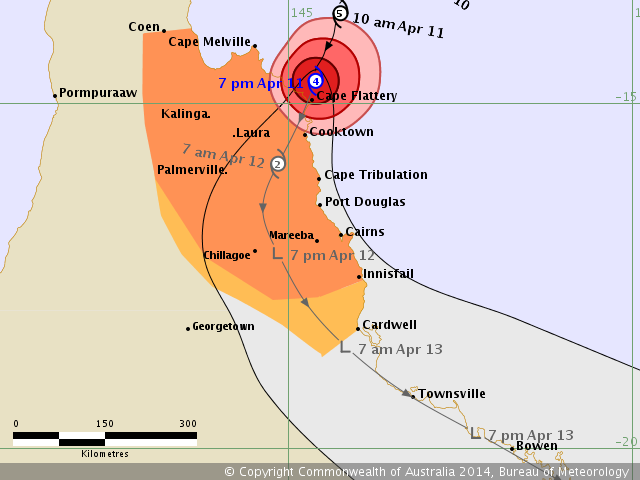 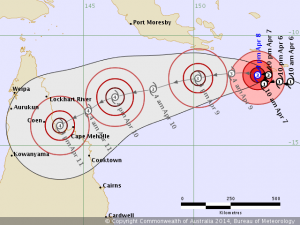 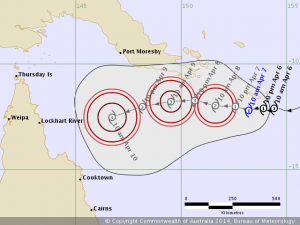 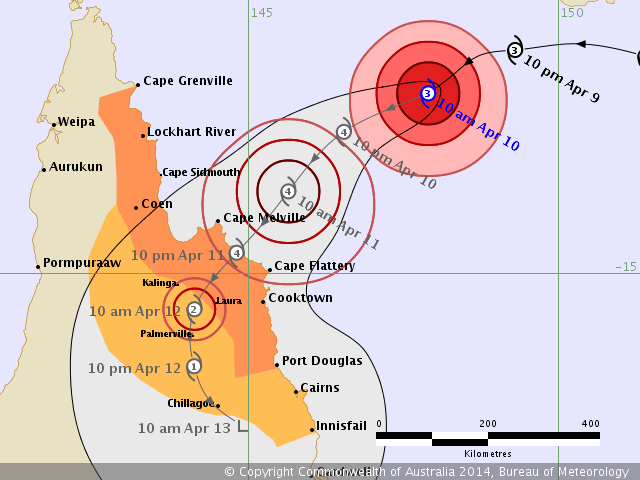 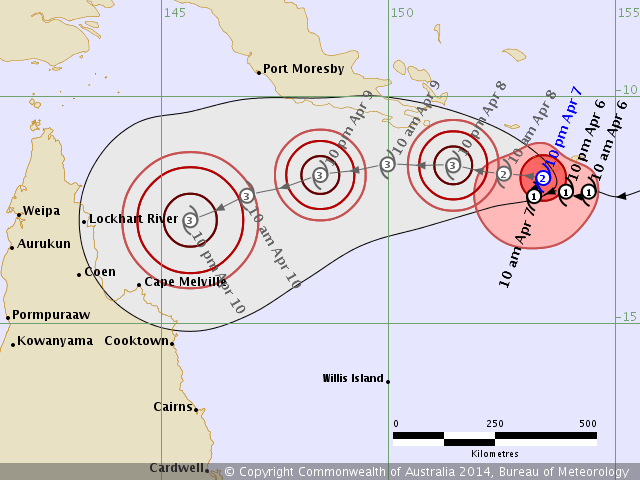 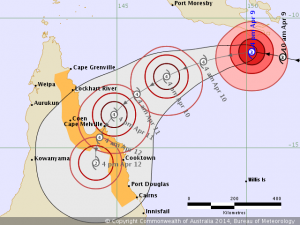 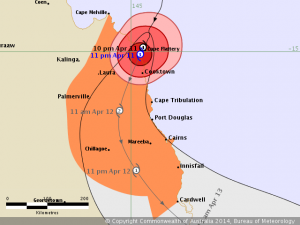 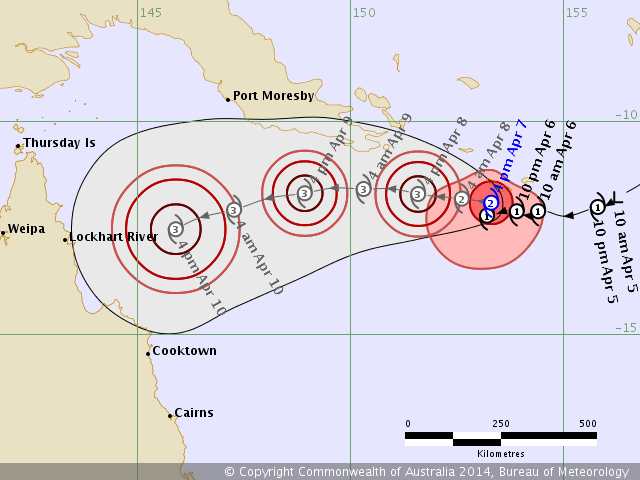 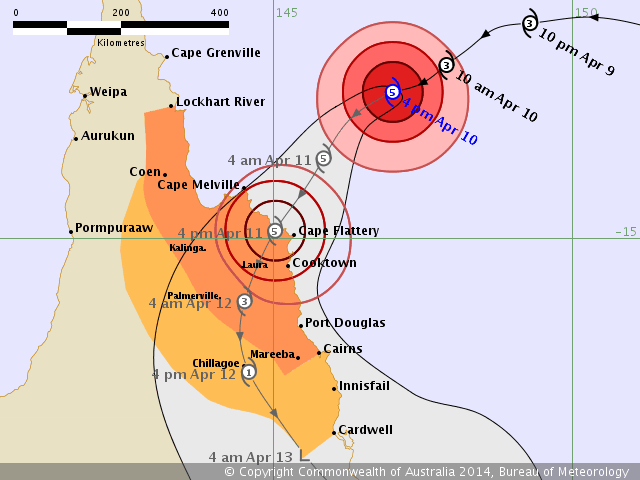 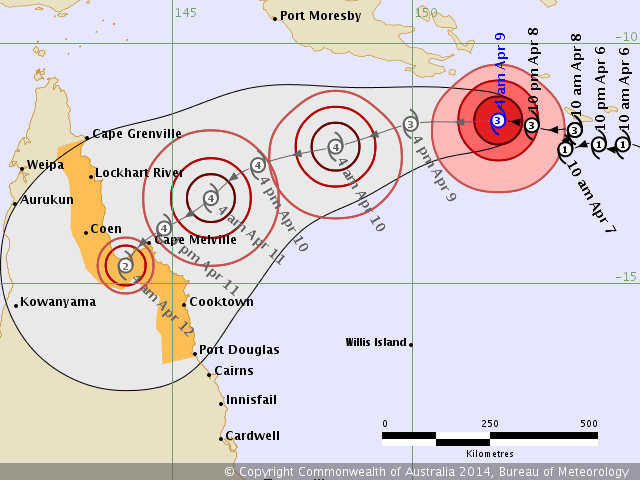 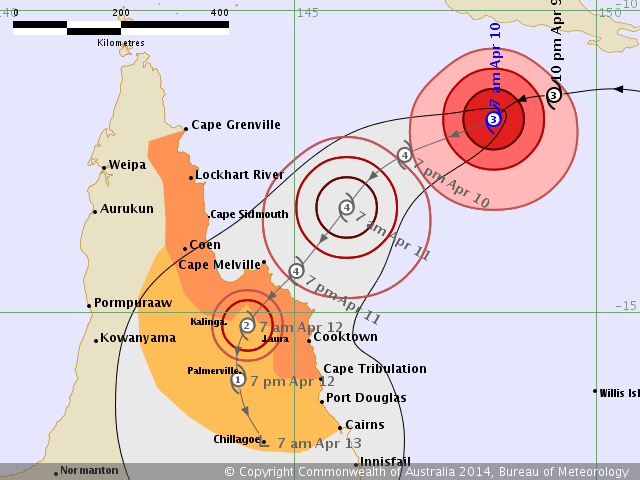 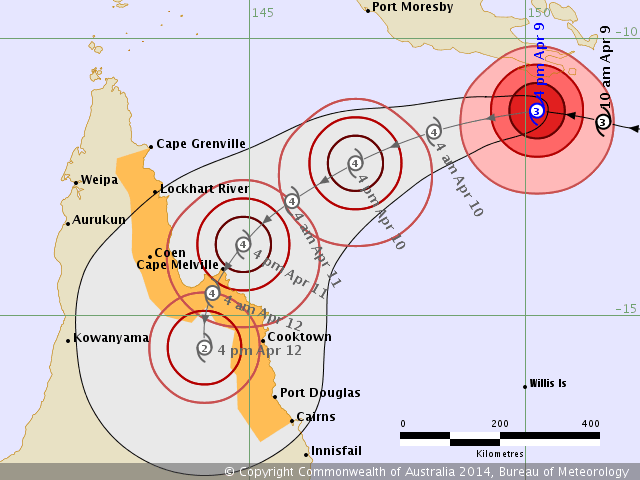 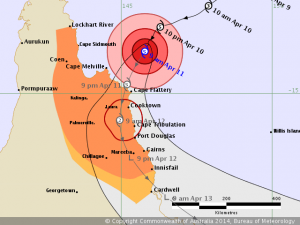 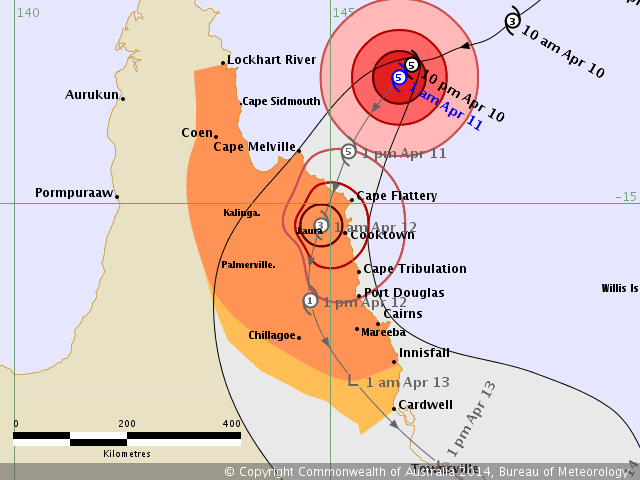 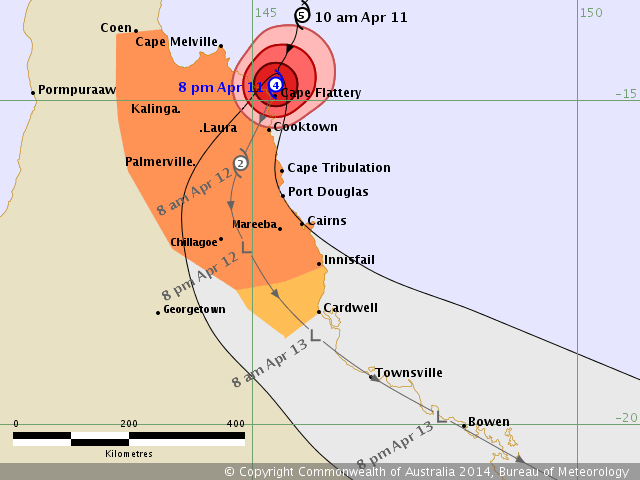 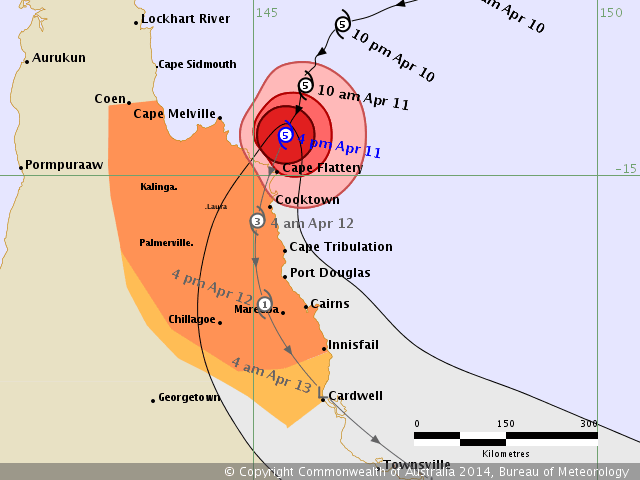 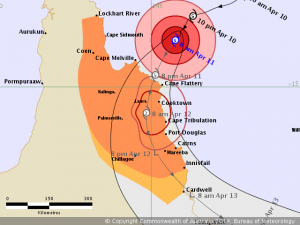 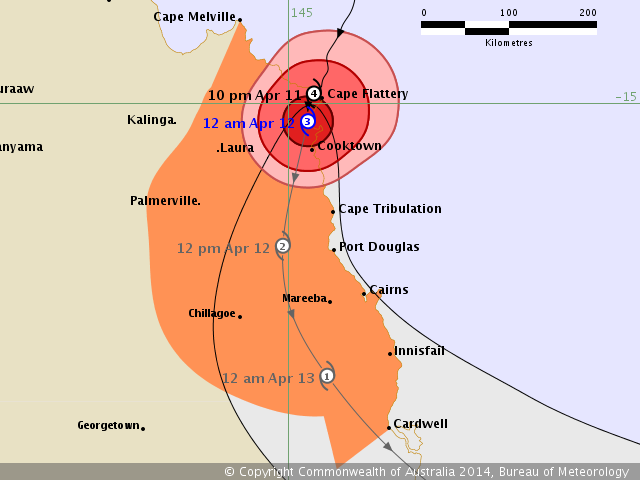 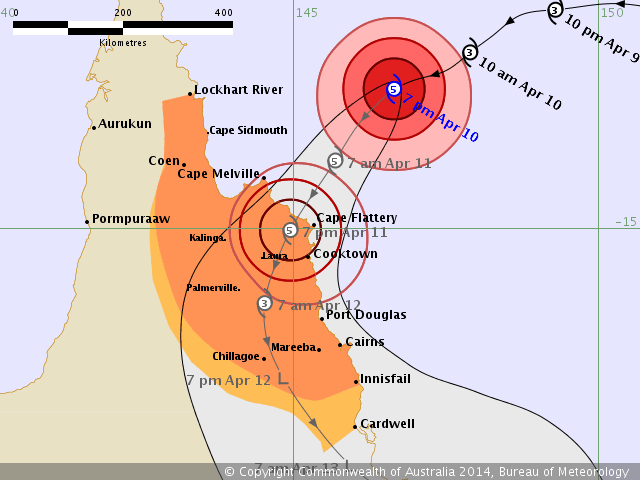 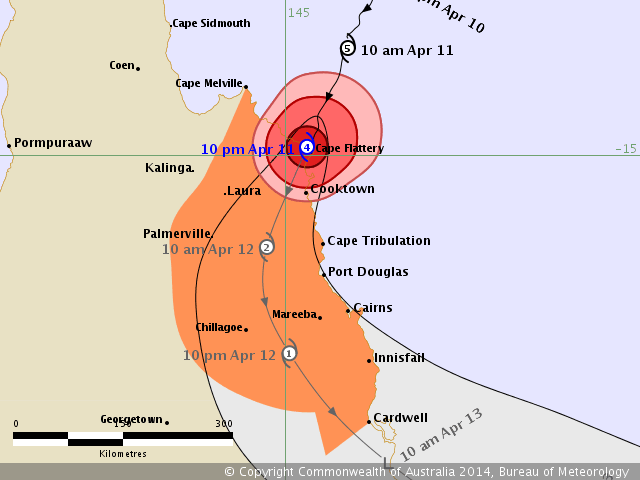 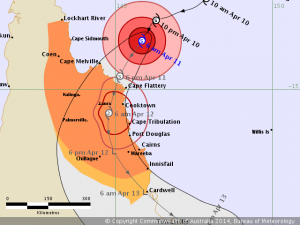 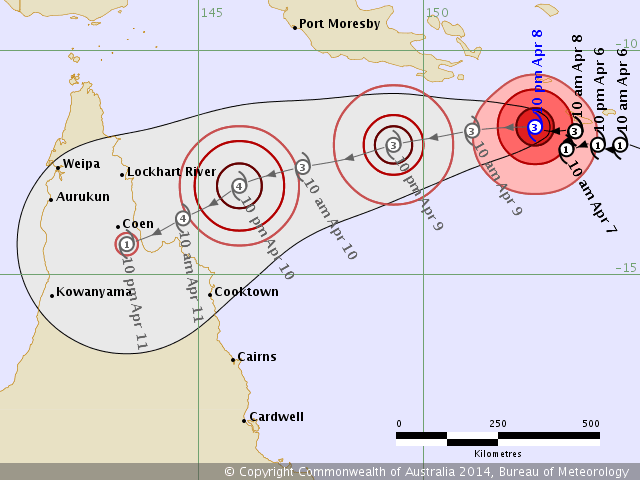 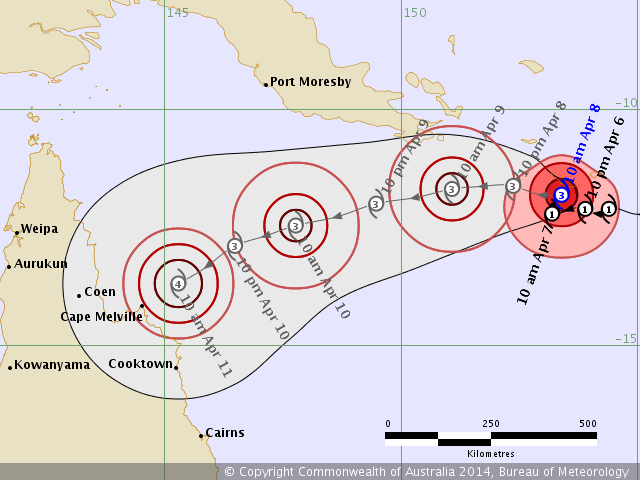 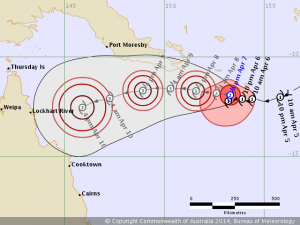 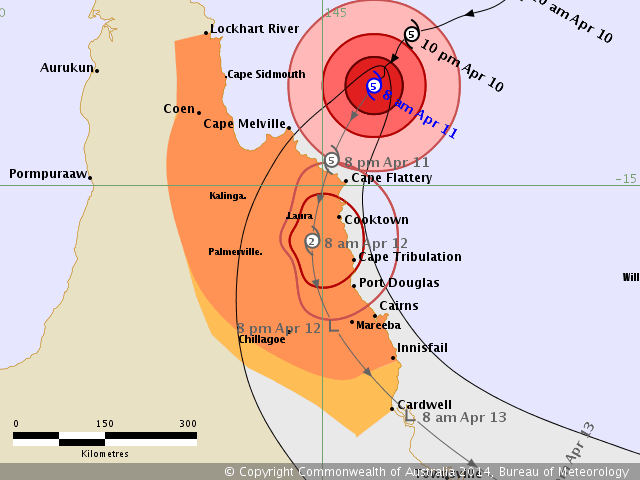 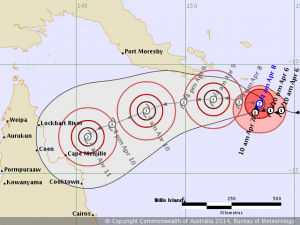 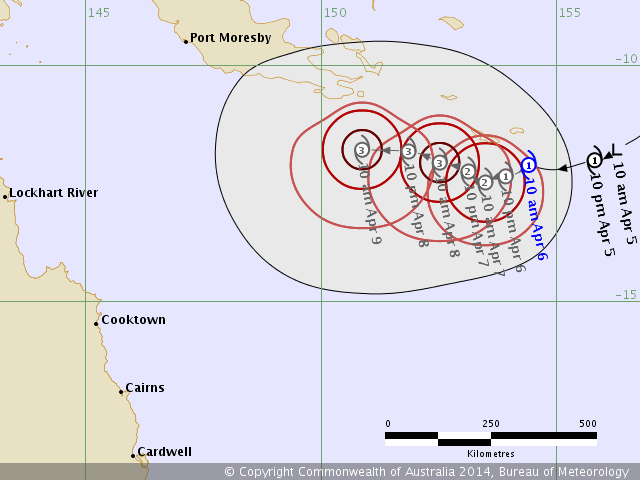 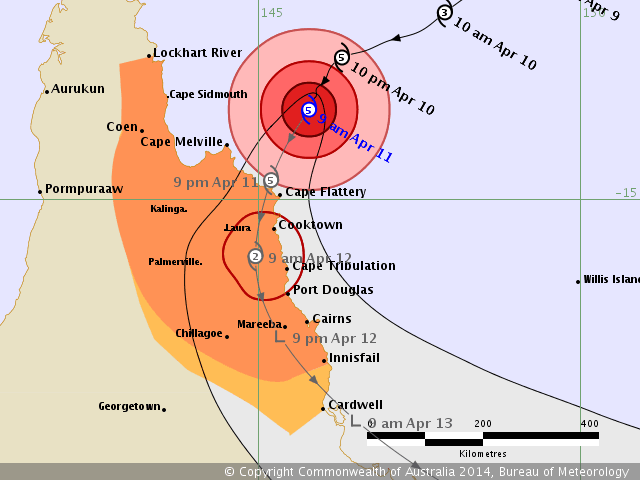 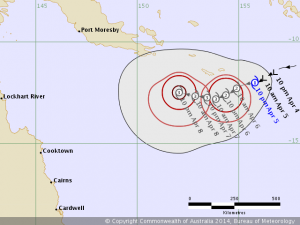 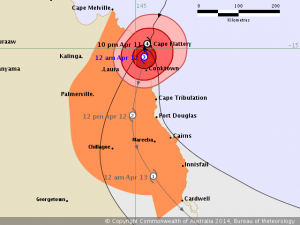 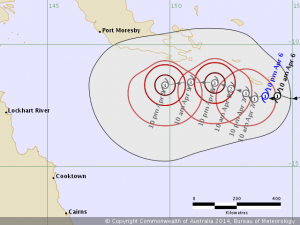 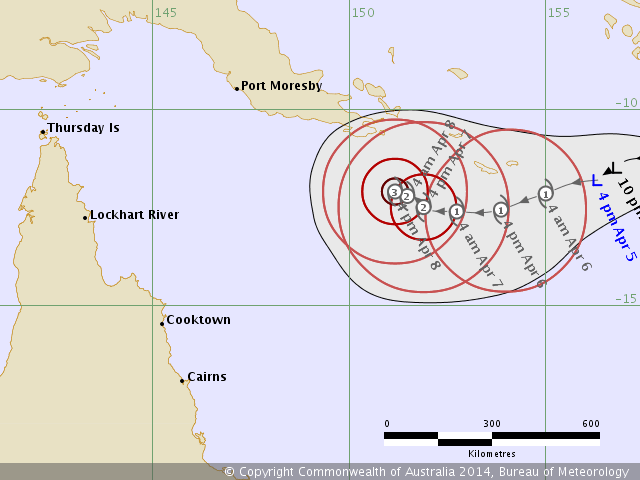 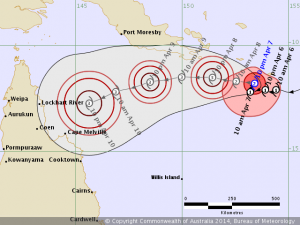 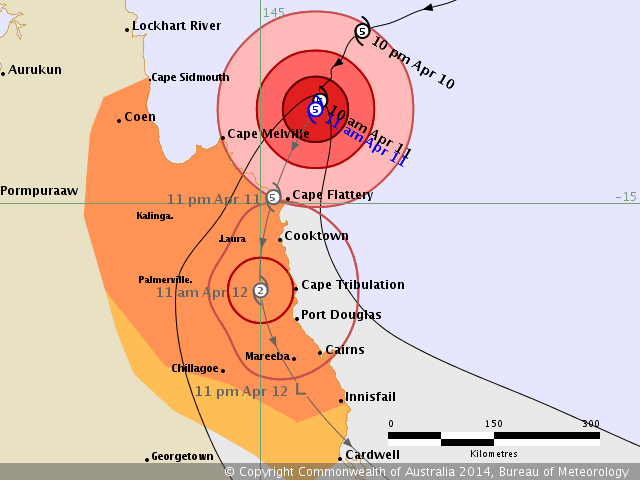 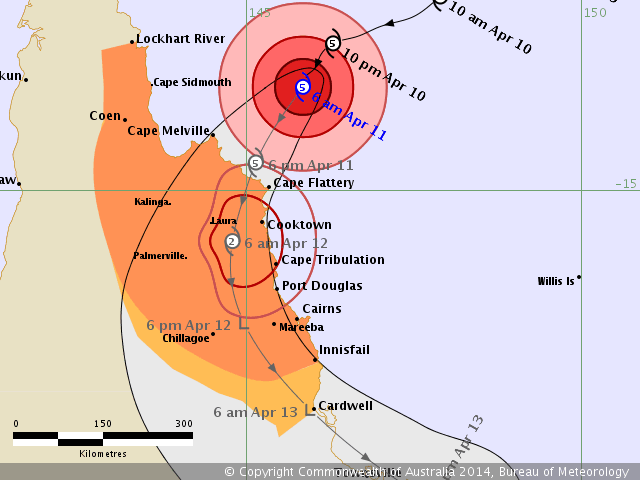 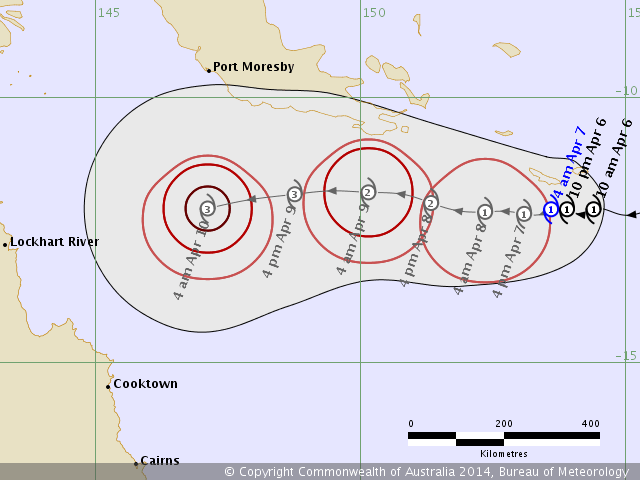 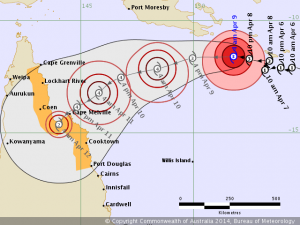 Please note: These maps are only here as a living record of passing cyclones from the viewpoint of an ordinary FNQer. 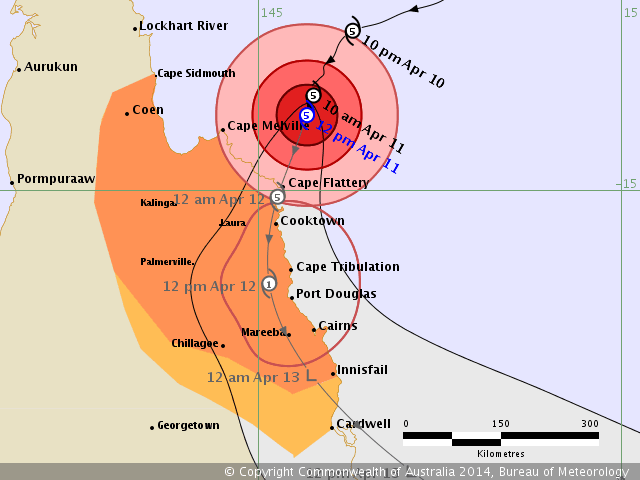 The info presented is out of date as soon as it is posted. 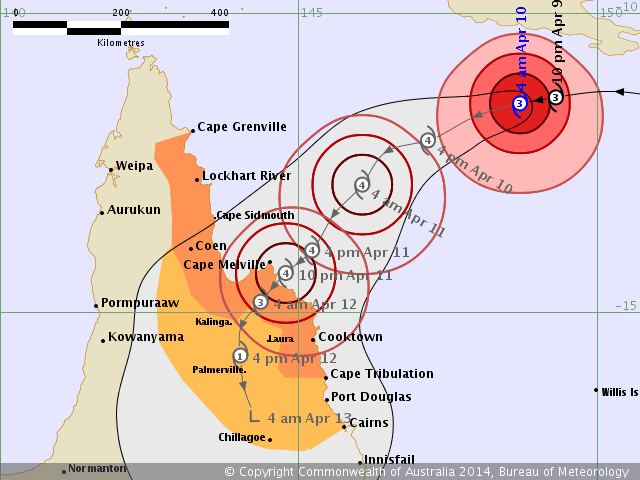 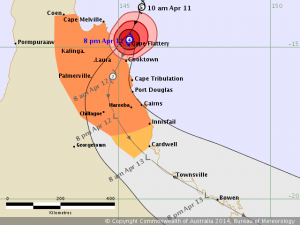 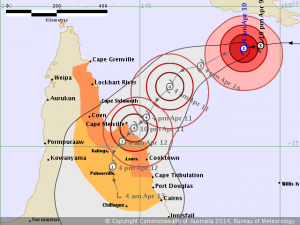 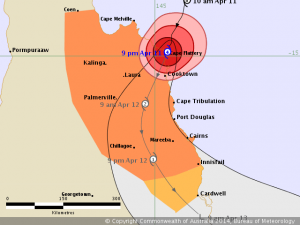 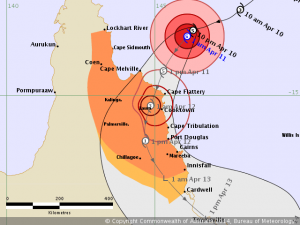 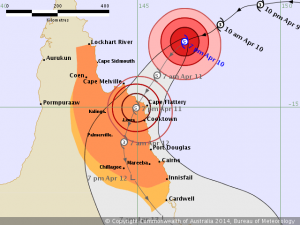 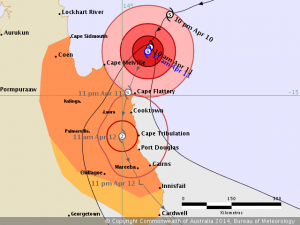 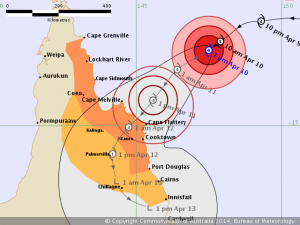 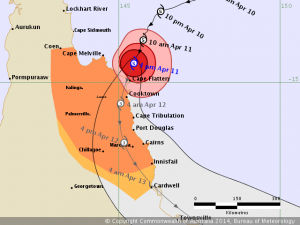 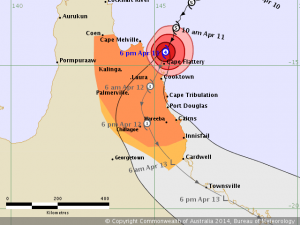 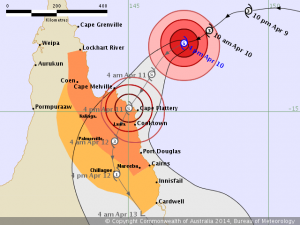 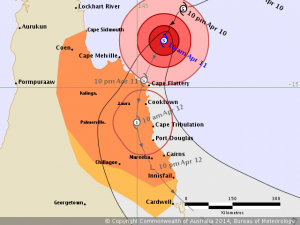 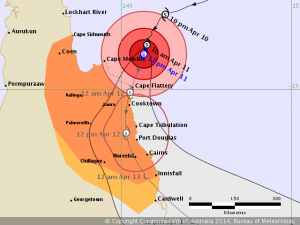 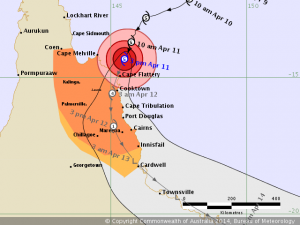 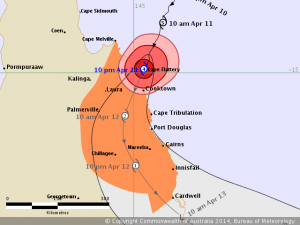 If you want the latest information you should always check the BoM Cyclone page. 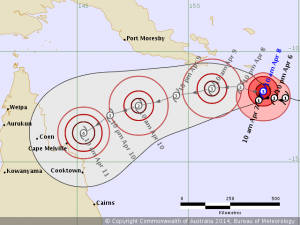 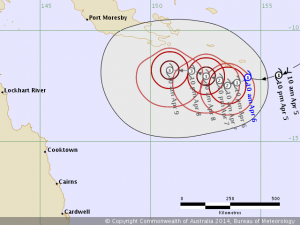 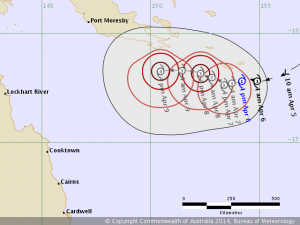 This entry was posted in Cyclone Ita, Weather and tagged australia, cooktown, cyclone ita, cyclone season, far north queensland, fnq, Weather, wet tropics on 2014-04-10 by pete.